I didn’t have any tickets for the event, but they said they would be selling tickets on site. Also, Tani wasn’t participating. 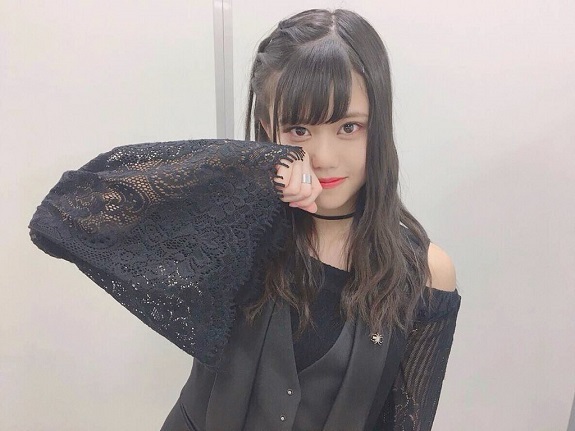 I decided to purchase two tickets, with a plan to use one on Kaotan and one on Hidaka Yuzuki, who I embarrassingly called by the wrong name last month at the individual event. It was too bad we didn’t get to see/hear the B-Laviere senbatsu song, which Tani centers. But without her there, there’s really no point. After listening to the three team songs, I decided I liked Team S’ song the most, and I confirmed that I don’t care for Kimi wa Ramune at all. Obviously the most interesting MC was the one that introduced the new single senbatsu. To be honest, I was hoping that Kaotan would somehow make it in since this could be her last SKE single. 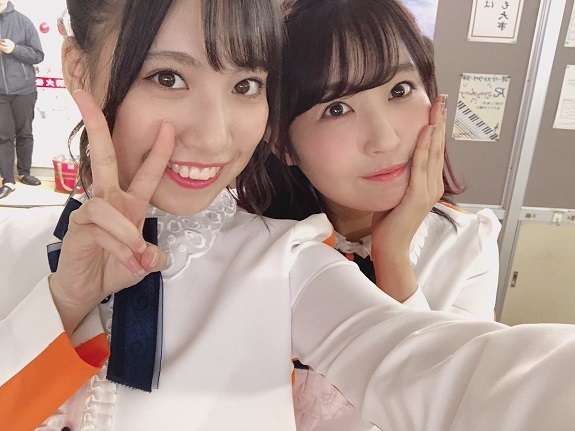 In fact after the video Yuzuki brought up the question of a graduation song for Kaotan. 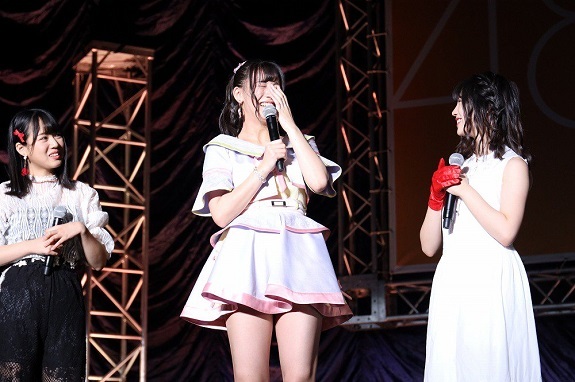 Yuzuki also seemed not to notice the announcement of the song title (Stand By You) as she began wondering what the song would be called….after it was announced, LOL. Also, and I felt kinda bad about this, but it seemed like the announcement of Jurina centering the song was a bit of a letdown to the fans. I mean everyone was cheering throughout the announcement, especially when they announced Arai Yuki’s name. However, when they announced Jurina you kinda heard the audience begin murmuring before they started obligatorily clapping. 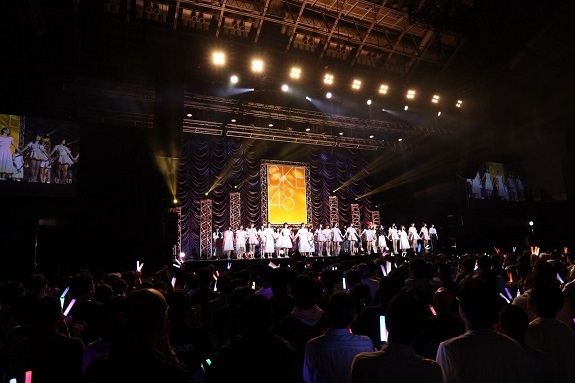 The show ended, and we had an hour break before the handshake event began. 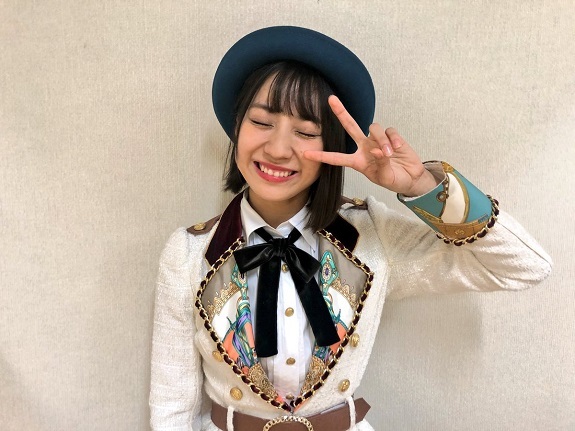 (Lane 3) Machi Otoha, Obata Yuna, Hidaka Yuzuki: With Kaotan’s graduation looming, I resolved to see Yuzuki more often since she is the one SKE member not named Kaotan or Tani who I really connect with. Plus, Obata was in this lane, who I think is adorable. I snaked through the line, getting the occasional glance at Churi who was in the neighboring lane. Finally it was my turn. As this was a National event, the interactions were quick. Obata: (look of familiarity since I saw her a couple weeks ago) Hey, it’s you again! Me: Yes, and there’s that beautiful smile! 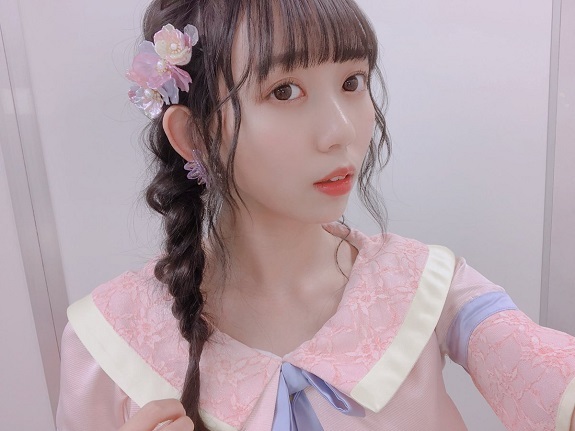 I really wanted to apologize to Yuzuki for that gaffe a couple weeks ago where I accidentally called her “Mizuki” (Had Yamauchi Mizuki on my mind I guess)although I’m sure she had forgotten about it until I brought it up. It made me feel better to see her take it so lightly. The fact that Obata is beginning to recognize me is awesome. I will have to get more tickets for her. Machi was cool too,so a successful lane! By the way, Nojima Kano is awesome. I really liked interacting with her. I can’t remember if I ever did a handshake with her before. I may have. I will have to check my old posts. But it would have been when she was brand new. But that was it, I had used all of my tickets, and it was only 2:40. Except I now felt really bad that I had somehow disappointed Kaotan. I couldn’t just leave her like that, with the faux-crying pose. I thought about it for a few moments. Oh, what the heck, there was still plenty of time in the slot. 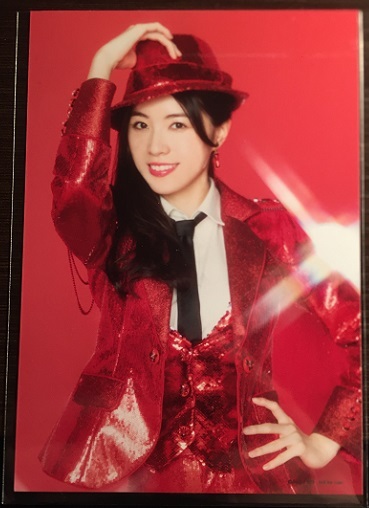 I went back upstairs and purchased one more CD, this time I got Type-A, and I got a Jurina bonus pic. I pulled out the ticket, and went back into the venue to queue up, running into a couple Wasafans along the way. (Lane 7) Nojima Kano, Nishi Marina, Matsumura Kaori: I was ready to make three idols happy by looping their line. Originally I thought if I had a third ticket I would use it on Dasu, or Sato Kaho, but this was for the best. Kaotan is always so sweet to me…. Now I felt a bit better. I don’t like making girls cry, especially Kaotan. But that was really it. No more additional purchases. I was done for the day. I headed to the exit before seeing my friend Boma hanging out near the display costumes. He was spending the day trying get into the special Jurina talk show that was going on. Apparently there were four events, but they had limited space, so you had to win your way in via lottery. I hope he got into one, since he missed out on the first two. The display costumes for the day. Ikinari Punch Line, and something from SKE’s countdown concert? So at this point it is a matter of waiting for the announcement of the Mu-mo sale for SKE48’s next single. 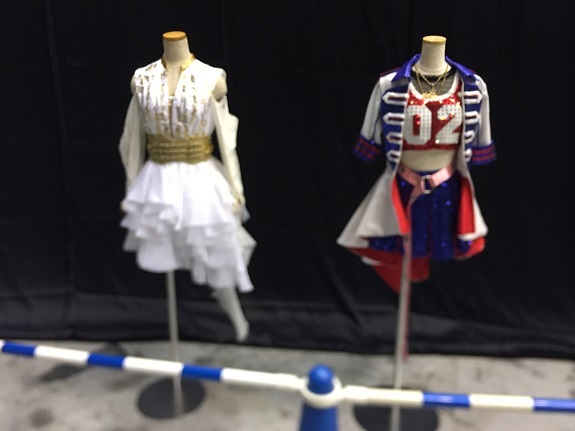 I have no idea if Kaotan will be included, but I have a feeling she will be. But as I said, I am planning on getting more tickets for Yuzuki, and I will likely get tickets for Obata and Kaho. And then there’s Nojima. She was really cool to me today. I think I may consider her for a ticket too. We’ll see.